Frugal and Thankful: A very simple and inexpensive gift idea. A very simple and inexpensive gift idea. There are so easy to make! 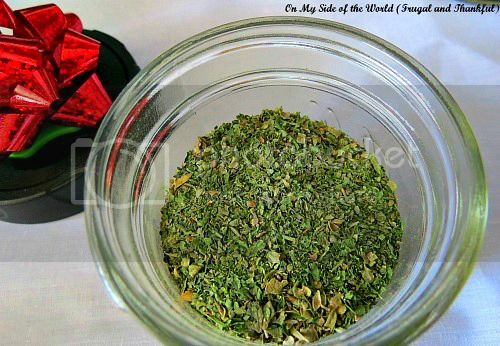 It took me since summer only because I was preserving herbs from our garden:) But you could buy your spices in bulk to make this an inexpensive last-minute gift or just for everyday use. 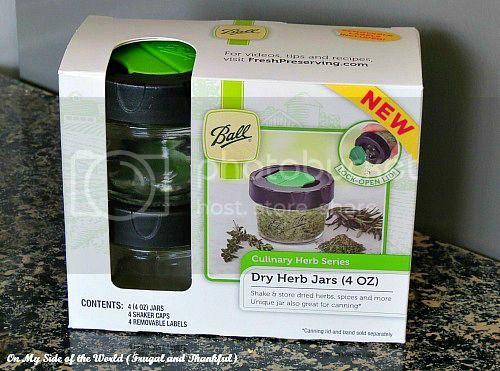 There are 4 4 oz jars with shaker cups and removable labels in the pack. I got mine in the same area where they have canning supplies. 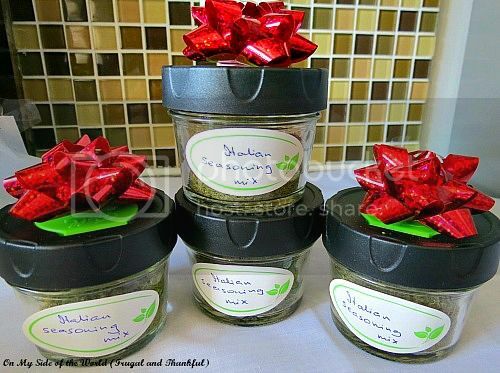 Are you giving any easy and inexpensive homemade gifts this year? Love it! But, love even more that you grew it all from your yard. I'll be taking some produce from our yard on our flight, if we have any room in the suitcases. ;-) I also baked an old family recipe that no one has been able to replicate in years - cardamom bread. It turned out great! I made jam this year. It is easy and my 5-year-old son can help me. Just don't try to change the baby's diaper while the jam is cooking, like I did, because it will totally pick that moment to boil over. :) The jam that stayed in the pot, however, was delicious. Your spice mixes look delicious too, and those cans are so cute. Nice find! I love those jars - I don't think I have seen them before. I'll have to keep my eyes open for some. What a great idea. I love these jars! We buy our herbs and spices in bulk but then what to do with them. These jars are perfect!!! 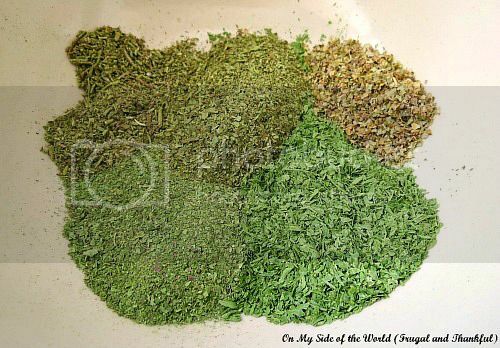 I will surely try your herb blend as well:) Thanks for the great ideas!!! Great idea and great planning too. That is a wonderful and thoughtful gift!!!! Have a Merry Christmas! Just in case, I don't get to visit you before the holiday gets here. What a great gift idea! Love that these are home grown herbs too!